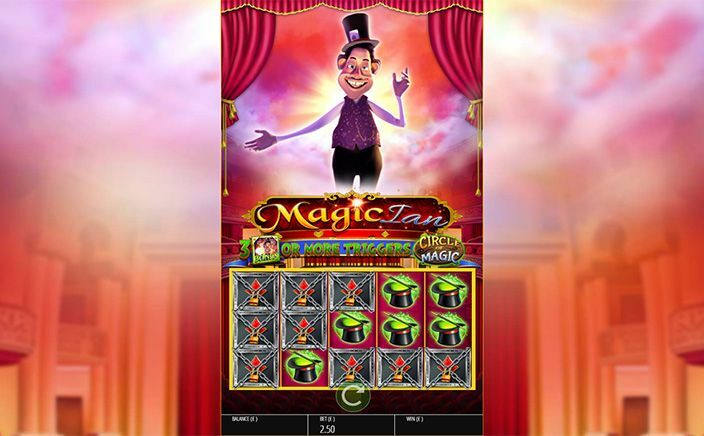 If you love watching magic tricks by great magicians, then Magic Ian online slot is definitely for you. This online slot by Blueprint Gaming has 5 reels and 25 paylines. This online slot with a magic theme offers 15 bonuses and 10 of the bonus features gets activated randomly during the gameplay. These 10 features offer wild reels, re-spins, mystery icons, double wins and much more. You can win free spins, morphing wilds and expanding reels during rest of the 5 bonus features. The reels of the Magic Ian are set against a classical theatre. The design of reels and symbols give a classical look to the online slot. The high-value icons on the reels include magician props like magic wands, cards, flowers and hats. And the low-value symbols are standard playing cards designed magically. 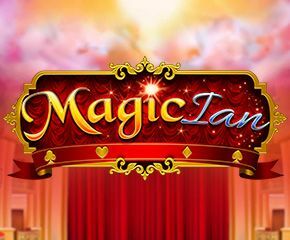 The Magic Ian icon is the highest paying icon and offers a maximum of 400 coins for each payline. The wild icon is the naughty rabbit and it also awards 400 coins for each payline and can substitute every icon except the scatter. Expanding Reels – the rows are upgraded to 8 and paylines to 50. Levitation Spins – additional icons appear on the reels and form new winning combos. Teleport Spins – one additional framework of reels to double your winnings. Mirrored Reels – identical icons between reels 2 and 5. Chest Of Wonder –magical trunks below the reels and can change all reels wild. Icon of Surprise – mystery icon appears all over the reels and pay for every payline. Magical Streak – you get a special re-spin streak. Shuffling icons– all icons are shuffled by the Ian and losing combo can be changed to winning combo. Super Bonus Spin – 2 bonus icons are landed on the reels to award you a re-spin and bonus feature Circle of magic can be triggered once again. To activate this feature, you are required to land 3 bonus icons during the same spin. You can select from the different cards to win multipliers, upgrades or bonus wheel. The bonus wheel awards you according to the where your pointer stops. Cash Prize – you win a multiplier for your total stake amount. Free Spins by Magic rope– rows are upgraded by 1, and up to 8. Teleport Spins – an additional framework of reels. Metamorph Spins – reels are upgraded by adding Metamorph wilds. And you also win additional free spins. Magic Ian is a superb combo of visuals and bucket full of bonuses. You will also love the music sounds playing in the background. Play this online slot as many more surprises are waiting for you.